This enticing shoe is not for the mild-mannered. The python print leather of the Dayton requires a wearer who enjoys adventure and spontaneity. The Dayton is a wing tip oxford. 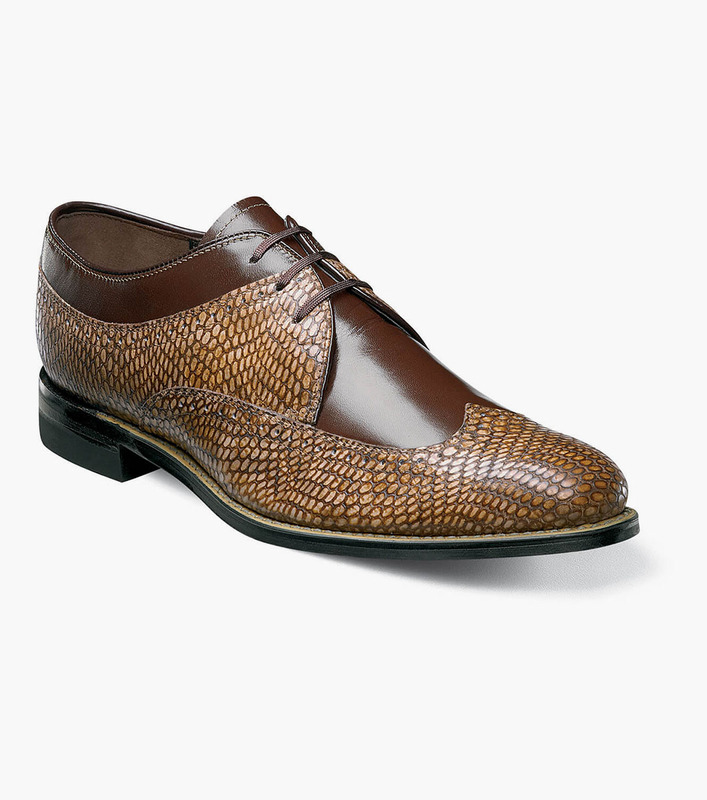 The upper is python print leather and smooth kidskin leather. The sole is non-leather and is crafted with genuine Goodyear welt construction.